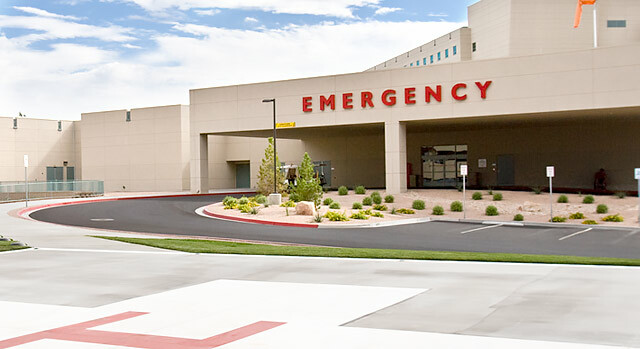 The Emergency Department at Summerlin Hospital Medical Center is open 24 hours a day, seven days a week to provide the care you need when you need it. The Chest Pain Center at Summer Hospital has been certified by the Society of Cardiovascular Patient Care as an accredited chest pain center with percutaneous coronary intervention (PCI). PCI includes procedures that treat patients who have partially or completely restricted blood flow through an artery of the heart. Among those procedures are balloon angioplasty and stents. The Society of Cardiovascular Patient Care's goal is to reduce mortality from heart attacks by teaching the public to recognize and react to the early symptoms of a heart attack and to reduce the time that it takes to receive treatment. Summerlin Hospital has been certified as an Advanced Primary Stroke Center by The Joint Commission. The Joint Commission's Certificate of Distinction for Advanced Primary Stroke Centers recognizes centers that make exceptional efforts to foster better outcomes for stroke care. Your children don't have to wait with adult patients in the main ER. Instead, they see doctors and nurses who specialize in assessing, diagnosing and treating pediatric emergencies in a dedicated unit located within the main ER. The pediatric ER provides advanced emergency care 24 hours a day, seven days a week in a family-friendly environment. Summerlin Hospital has dedicated Certified Child Life Specialists (CCLS) dedicated to the Emergency Department. They are trained to provide children with age-appropriate preparation for medical procedures, pain management and coping strategies to make the experience less stressful for patients and families.